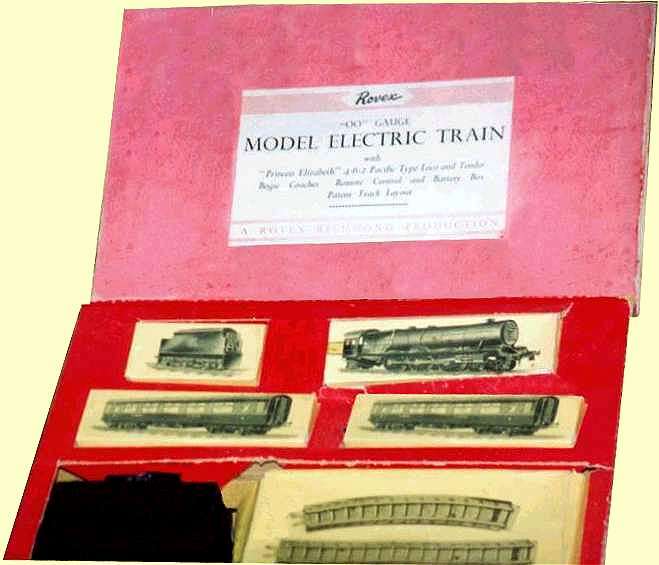 In 1950, Rovex Plastics Limited, of Richmond, Surrey, produced a range of model trains exclusively for Marks and Spencer using plastic (cellulose acetate) moulded bodies .The price of the train set was £2 17s 6d which was about half the price of anything comparable on the market. 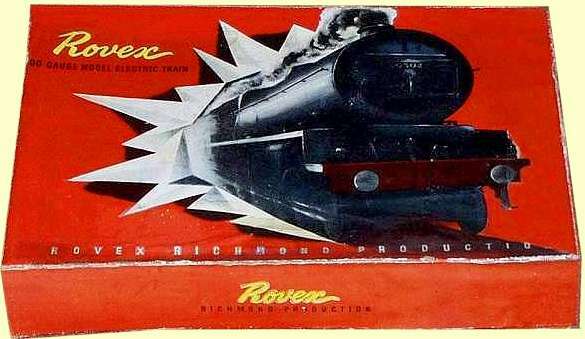 Rovex Plastics Limited was taken over by Lines Bros in 1951 and the range was launched as Tri-ang Railways in 1952. In 1953 the company's name was changed to Rovex Scale Models Limited. In 1954 the company moved to a special purpose-designed factory in Margate. 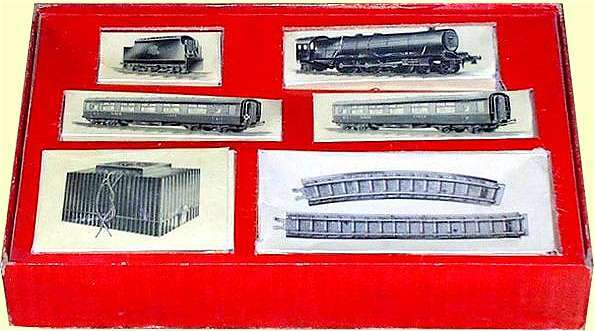 In 1964 with the takeover of Meccano Ltd, the manufacturers of Hornby trains, by Lines Bros happened. Lines Bros then merged their own Tri-ang Railways and the Meccano Hornby range and it was renamed Tri-ang Hornby.